Chuck Hoag's family moved from Kansas to Oak Park when he was 10 years old. He was a 1949 graduate of Oak Park & River Forest High School where he was a standout athlete, lettering in football, basketball, baseball, and track. 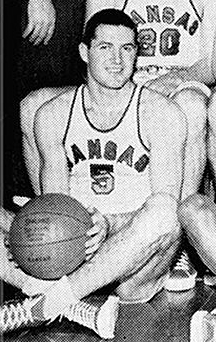 He played football, basketball, and ran track at the University of Kansas, and was a member of the 1952 Kansas basketball team and won the NCAA championship. Hoag was a member of the U.S. Olympic basketball team that won the gold medal at the 1952 Helsinki games. Posthumously, Chuck Hoag received the Oak Park & River Forest High School Tradition of Excellence Award in 2013.